What can be done to ensure that technology truly improves learning outcomes? For the last twenty years, educators, governments, technology companies and publishers have built a narrative that by introducing a new technology, be it a digital book, LMS, SIS, PC, tablet or iPad, there would be an immediate improvement in student learning. The reality to date is that no-one has established an accepted nexus between learning outcomes and the use of technology. In 2012 Higgins and his colleagues, in their meta-analysis of the numerous studies on the impact of digital technology on student learning, concluded, “Taken together, the correlational and experimental evidence does not offer a convincing case for the general impact of digital technology on learning outcome” (Higgins et al, 2012). Apparent from multiple teacher surveys, a large proportion of teacher-technology skills lie somewhere between Conscious Incompetence and Conscious Competence. That is, somewhere between teachers being aware they lack specific technology skills and knowing the skills they have are not second nature or fluent. This being the case, the foundations on which technology can be relied on to support stronger learning outcomes, need to be sured up. 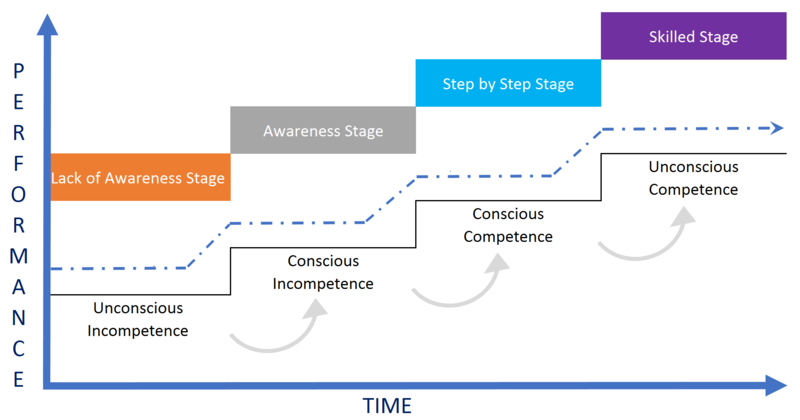 We believe the tipping point at which technology will significantly contribute to stronger learning outcomes will be when teachers reach the level of Unconscious Competence with technology. This is when teachers, as a natural part of their professional repertoire, enhance pedagogy and student outcomes by blending the art of teaching with efficiencies and data delivered by supportive technology. We have five suggestions we think will help technology improve learning outcomes. 1. Support teaching with technology. Research has proven that teachers have the biggest influence on learning outcomes, not technology. It is however, far easier to make technology accessible than it is to lift teacher skills into a state of unconscious competence. We must refocus on supporting and encouraging teachers with intuitive tools that build capabilities to better inform teaching and learning. 2. Start measuring learning – stop the fixation on managing it. Learning management is not learning measurement. For too long we have invested in technology that does not inform daily teaching and learning in an exacting context for each student. The idea that ‘I have taught it because it’s in the LMS’ has become a proxy for ‘they have learned it’, without a need for any independent check on what (if anything) has actually been learned. Technology needs to help teachers assess and measure learning. 3. Give teachers the tools to personalise teaching. We would argue that the perceived need for more standardised ‘digitised’ curriculum content detracts from teachers focusing on having the answers to three critical questions every day. What does each student know now? What is each student ready to learn next? Where should I target and adapt my teaching? Personalised teaching happens naturally when teachers with an unconscious competence for technology are supported with quantitative capabilities. 4. Leverage data to inform teaching. The most under-utilised, unleveraged asset of every school is the learning data it produces every day. Schools must build a data capability and culture to surface data insights and help teachers to target teaching, improve feedback and learning outcomes. According to Scottish writer, Arthur Conan Doyle, “It is a capital mistake to theorise before one has data”. Yet, for centuries, the education industry has implemented teaching practices without any data to prove its efficacy. 5. Extend strategic outcomes with data and technology. Improving teaching and learning outcomes using data is operationally very effective. The same data builds the foundation of the next strategic step. Machine learning and assistive intelligence (commonly referred to as artificial intelligence) offer capabilities to scale finite teacher resources to automatically predict outcomes from captured learning data. A new teacher-dedicated digital assistant can suggest, adapt and prescribe personalised learning on demand.